Dry, patchy grass on your otherwise gorgeous lawn getting you down? If you’ve made the effort to cultivate a gorgeous lawn only to keep finding areas of dry patchy grass, you may be wondering why your lawn refuses to behave. You’ll want to first consider the source of your problem. All soil is not created equal. It may be a matter of an overly compacted area, a lack of nutrients, builders wastes may have been ‘forgotten’ here, or sometimes it’s just the every-day Perth gardener’s battle against our sandy soil. So when it comes to eradicating those patchy grass spots you often need to look deeper than the surface problem and check your soil for nutrient deficiencies. Soil pH naturally changes over time in even the most well-kept lawns, affecting nutrient availability. Getting a soil test will confirm if your soil has become too alkaline or acidic. 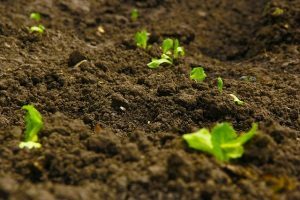 And then depending on whether you have sandy soil or clay soil, you’ll be able to determine what sort of treatment you’ll need to lower or increase your soil pH. Once you establish what your soil is lacking you can help it provide the right nutrients to grow a healthy lawn. Those dry, patchy spots might also be caused by pests. White Curl Grubs – The grub feeds on the root of the grass which leads to the grass drying out. 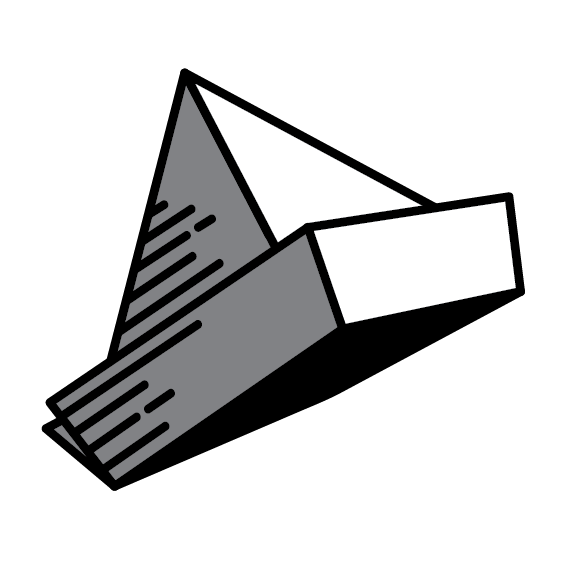 Cutworms – They get their name from their feeding habits of chewing the stems of lawn grasses and plants. In large quantities they may be very destructive to lawns. Army Worms – Commonly referred as lawn grubs, this caterpillar feeds at night and hides at soil level during the day which makes it difficult to identify. They lay large quantities of eggs and develop very quickly so swift action is required. Black Lawn Beetles – Also called African Black Beetles, they are quite often blamed for the damage to lawns but in most cases something else is to blame. 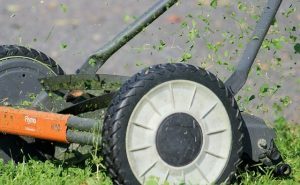 When mowing your lawn, it’s a good idea to sometimes give your lawn an extra boost by leaving the clippings behind as a type of organic top-dressing. If your clippings are 20mm or less, or if your mower has a mulching capacity, then ditch the bag on your mower and let them rest on the lawn. While decomposing they’ll help to feed and protect your lawn’s roots and soil. Organic matter such as clippings or mulch supply a lot of the nutrients your lawn needs. You want to bag your mower if your lawn is tall or if it has tons of weeds, since bagging those weeds will keep them from spreading. If you have a sprinkler system that’s been around for a while, it might not be performing optimally. It’s a good idea to regularly check your system to make sure it is in good working order and providing adequate coverage to your section. Checking it seasonally to make sure it isn’t over or under-watering is also highly recommended. Turn on the reticulation and then walk around the lawn. Pay special attention to the sprinklers around any of those grassy patches and look for those that are not spraying correctly. To correctly assess the efficiency of your irrigation system you will need to do a catch test. Have a look at this video from the water corporation or contact an expert for more info. 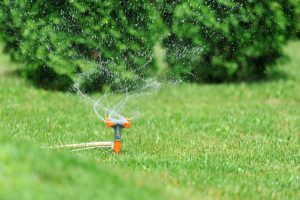 Any sprinklers that are not spraying may need to be removed from the ground, disassembled, cleaned and reinstalled, or checked for pressure issues or leaks. A professional from Reticulation Perth can help you with this. If cleaning the sprinklers doesn’t work, you’ll want to replace the irrigation system with a new one. Especially if you’ve had the system for a long time and it wasn’t installed by a professional. Alternatively you may want to look at changing your nozzles and sprinklers to more efficient ones like the Hunter Mp rotator nozzles. Ready to get rid of patchy grass? Smarter irrigation systems are available these days to save water while saving you money, and with the installation or optimisation of your irrigation system, those brown patches should soon be gone. If you would like a professional to come assess your lawn, check or install your reticulation system, or offer expert advice – give us a call. ← Which are the Best Reticulation Controllers? With years of experience in delivering reliable, professional and affordable services, Perth Reticulation is the best choice for your garden.